We know that U.S. food chains (Taco Bell, KFC, McDonald’s, Jamba Juice, etc.) adapt to local tastes outside of the U.S. When traveling, we like to visit them to see what creative flavors they come up with. 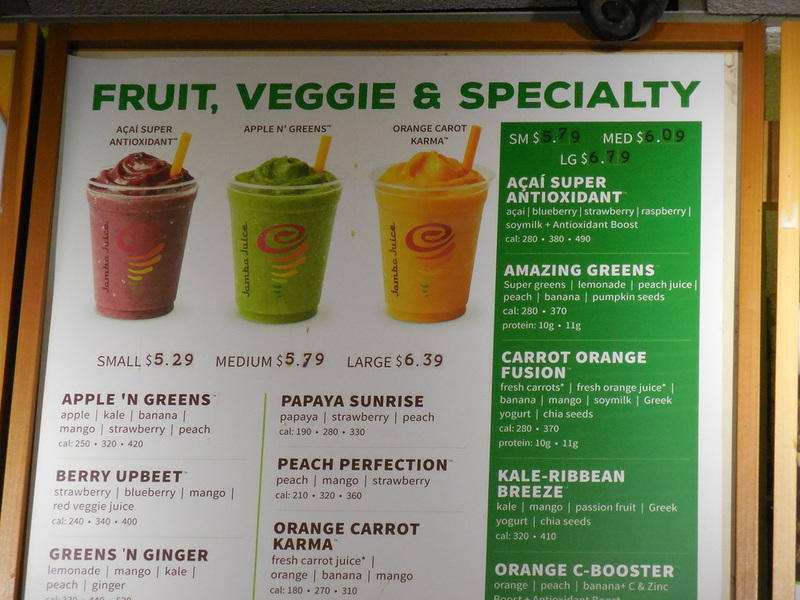 Jamba Juice in Hawaii?! YAY! Hawaiian fruits are the best! 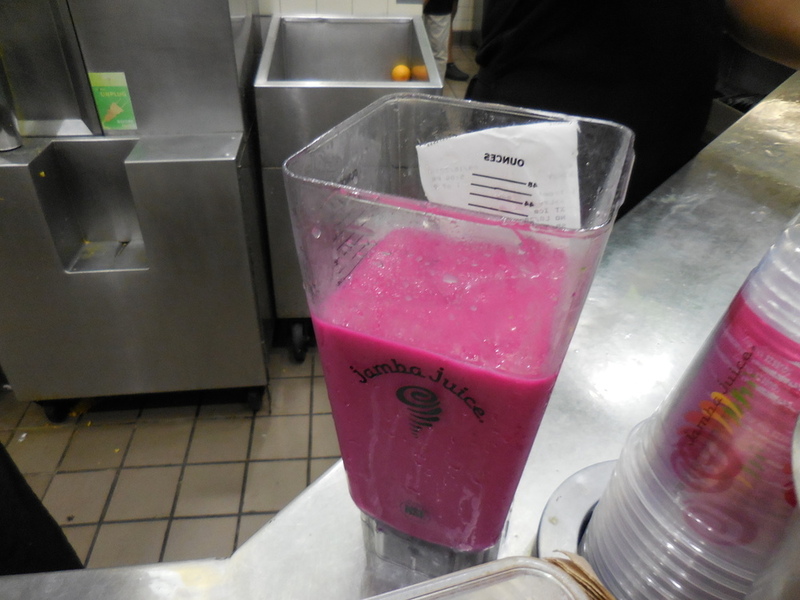 Jamba Juice includes them on the menu; dragon fruit, strawberry guava, papaya, etc. Loving the color! So bright and yummy-looking. I’m generally not a huge fan of papaya but I had to try it.